Terroirist Giveaway from Vintage Cellars! Interested in a new Riedel decanter? Or a Mulholland Sommelier Corkscrew with a leather case? Our friends at Vintage Cellars have generously provided Terroirist.com with these items to offer our readers. One lucky reader will receive both gifts by entering the contest! Vintage Cellars is dedicated to helping its customers protect their investments in wine. By providing custom cellars and wine racks, they allows individuals to purchase more wine, store it properly, and ensure that will be enjoyable for years to come. Vintage Cellars works directly with homeowners, architects, contractors, and wholesale dealers to provide individually designed and built cellars suited to each client’s particular needs. It has created racks totaling approximately 20 million bottles of wine storage. Check out the Vintage Cellars website for examples of the cellars they’ve designed. On its site, the company also sells a host of wine accessories, like glassware, corkscrews, and preservation systems. Good luck! We’ll select a winner at random on Monday, August 29. With a new initiative from the California Wine Club (CWC), you can earn credit toward your next wine purchase while helping the environment. In partnership with ReCORK, the CWC will plant 1,000 new cork trees if they collect 20 million corks by September 2011. For every 30 corks that you mail in, you’ll earn a $10 credit towards purchases from the club and entry into a variety of weekly contests. 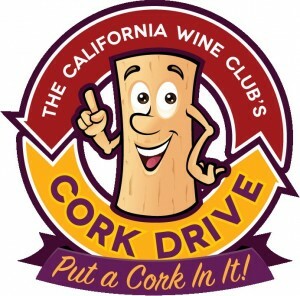 This initiative got me thinking about corks. Cork has been used to stopper wine vessels for centuries, though it faces growing competition from other closure methods. But why do we use cork? How are corks even made? Medium-bodied, layers of flavor, from black currant or blackberry to sweet, tropical fruit, and prized for its bright and refreshing quality. Full-bodied with virtually no acidity but an intensity that lingers in your mouth. Concentrated spicy, herbal notes and an earthy aroma. A wonderful, straightforward blend. The bright flavor is tempered with a round smoothness and ends with a clean finish. Despite the familiar sound, these aren’t wine tasting notes. Instead, these the comments come from the package of three bags of coffee I recently purchased. 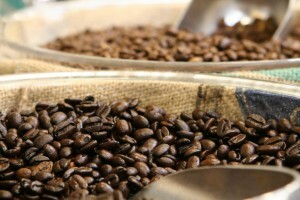 Specifically, they were from Starbucks’ Kenya, Sumatra, and House blends. These notes got me thinking – should I drink coffee more like I drink wine? I really enjoy a good cup of joe, but I know far less about it than the wine that I consume. In fact, though, coffee can be understood and appreciated in many of the same ways as wine. For those of us interested in terroir and fermentation techniques, it’s interesting to taste how characteristics like provenance and preparation can affect coffee. Over the past week, low levels of radiation from the Fukushima Daiichi power plant in Japan began reaching the western United States. Despite heavy news coverage, the U.S. has largely avoided the panic-buying seen in other countries of items like salt, seaweed, and … red wine. 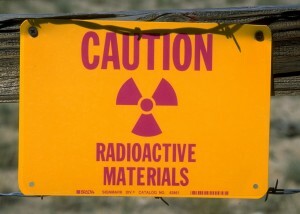 Given the short supply of iodine pills, people around the world concerned about radioactive fallout have been buying up other products rumored to protect against radiation. Although the run on salt in China was misguided (an adult would need to swallow over 6 lbs. of it to prevent radiation poisoning), consumers in Russia stocking up on wine were on to something. As it turns out, several studies indicate that red wine does indeed provide some defense against radiation. The antioxidant Resveratrol may help mitigate the harmful effects of radiation exposure, in addition to its purported roles in cancer prevention and increased longevity. Uploaded to Flickr by roblisameehan. As a student, I drink a lot of bad wine. Probably because I drink a lot of cheap wine. That’s not to say that inexpensive wine is always bad, but there are certainly more misses at the lower end of the price range than at the top. From the convenience store bottle bought at 9:55 pm on a Friday night to the pricier label found for 70% off, I’ve encountered bad wine in many forms. If anything, I’ve become a connoisseur of wine faults and flaws. The wide variety of characteristics that make wine ‘bad’ are actually quite interesting. And understanding how to identify bad wine not only increases my appreciation for better wine, it helps me avoid similar purchases in the future. Uploaded to flickr by imcountingufoz. On a recent trip to Napa and Sonoma, I was able to barrel taste wines at several wonderful wineries. Though the experience was fun, I found such young wines difficult to comprehend. Terroirist Greg Golec recently wrote about the joys of tasting wines with some age on them and the effect of age on taste. Similarly, understanding what to expect from barrel samples can make the experience more enjoyable and educational. For someone unaccustomed to tasting wine right from the barrel, the tannins and acid can be overwhelming. It’s difficult to taste beyond the fruit and oak on the front of your palate, let alone predict how the wine will taste as it ages. I posed this question to a few of our guides and did some follow up research to come up with the following thoughts on appreciating wine straight from the barrel. 1. Pay extra attention to the nose. Notes that may not quite compete with the overpowering flavors in a young wine are more likely to be present on the nose. 3. With big reds, look for tannins. The stronger the better, as tannins act as a preservative and add structure and backbone to a wine. Anything less than strong tannins at this point is noteworthy. 4. Ask how long it’s been in the barrel, and when they plan to bottle. This will help you interpret what you’re tasting. If it’s close to bottling, taste it as you would any young wine. If it has time to go in the barrel, recognize that the tannins and oak will soften upon bottling. 5. Different grapes behave differently early on. Ask the winemaker what characteristics she expects to subside or emerge for the particular varietals that you’re tasting. 6. Pay attention to the finish. Importantly, does it finish long and balanced? You don’t want to notice the alcohol, which will likely manifest as heat later on. The length of the finish provides another indication of how long the wine will age – a long finish suggests that the wine has the structure and components to last. 7. If you’re considering buying futures on a barrel, compare the barrel sample with a taste from the current release. Be sure to ask whether the fruit source or any production methods varied. 8. 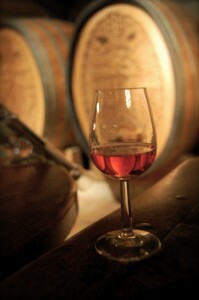 When possible, compare related barrels to gain a better understanding of the wine. Winemakers may invite you to taste different vintages, source vineyards, barrel types, or production methods side-by-side. This can be fun and help you taste the wine from a different perspective. During my visit to Pride Mountain Vineyards, for example, I was able to taste Cab from two different vineyard blocks in two different barrels. One wine had lots of delicious fruit at the front — but quickly evaporated, with virtually zero finish. The second wine wasn’t as fruit-forward, but had huge tannins and seemed to have good structure. Our guide explained that while neither barrel would make a complete wine, a blend of the two would likely be fantastic. Uploaded to flickr by profernity. Do you know anyone who gets itchy or sniffley after a glass of wine? About 8% of people experience unfortunate side effects like congestion, a skin rash, or a headache with wine. Sulfites added to assist preservation are often blamed, but recent research suggests that other compounds may, in fact, be responsible. According to a study published by researchers at the University of Southern Denmark, the glycoproteins (protein molecules with sugars attached) produced during fermentation may be the culprit. 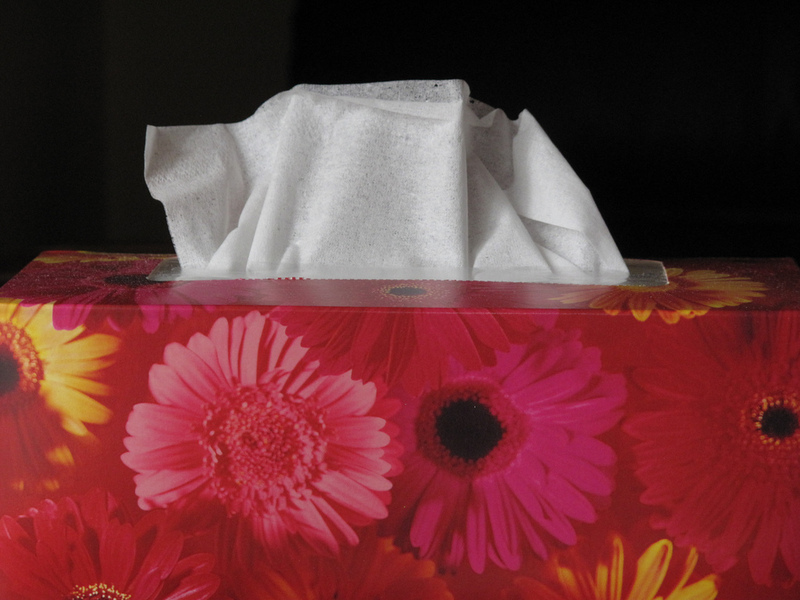 They found that at a molecular level these proteins closely resembled several known allergens. Specifically, they were very similar to proteins found in ragweed that cause hay fever as well as other allergens present in olives, latex, and pears. The study analyzed just one type of Italian Chardonnay, so it’s unclear how broadly applicable these results are. 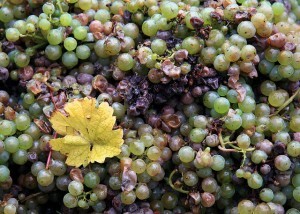 However, similar proteins are likely found in most wines. This knowledge may enable to someday make hypoallergenic wines by developing techniques that limit the formation of the offending glycoproteins. 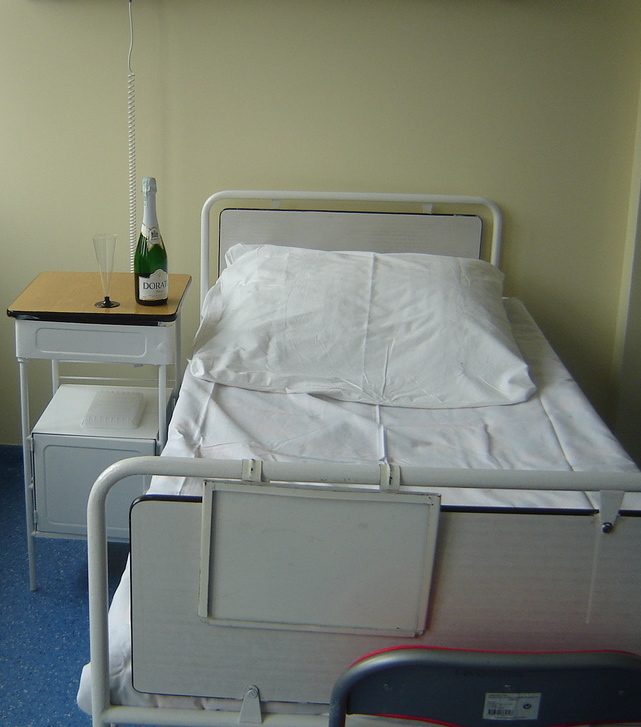 Is Wine On The Hospital’s Menu? Uploaded to flickr by mallitch. A glass of wine with a dinner while in the hospital? Recently, one hospital in Indiana has gained attention for allowing patients just that. Patients at Parkview Ortho Hospital can bring their own wine to have with dinner. Administrators hope this will brighten their stays and improve overall satisfaction. Although a hospital spokesman emphasized that this is not, “a technique or selling point to attract consumers to Parkview hospitals,” the move is indicative of the healthcare industry’s increased focus on improving the patient experience. That last part of the quote is key – mixing alcohol and certain prescription drugs, particularly the narcotics frequently prescribed to post-op patients staying in the hospital, can be very dangerous. Over the past decade, red wine has gained wide recognition as part of a healthy lifestyle. Proponents suggest that a glass a day can have far reaching health benefits. Everything from improved heart health, lower cholesterol, cancer prevention , and weight control have been associated with red wine. Although the jury is still out on exactly how much of an advantage red wine offers (perhaps a topic for a later post), several nutritional supplements purport to provide many of the same benefits in tablet form. 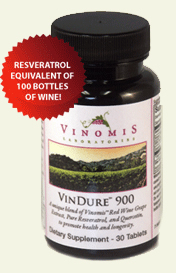 I just caught a press release from “Vindure 900,” which contains Quercetin and Resveratrol – two key antioxidants found in red wine. The company claims that a single tablets has as much Resveratrol as 100 bottles of wine! On its impressive website, Vinomis Laboratories explains that these compounds are “two of the most potent activators of the SIRT genes responsible for longevity.” Researchers believe that the SIRT genes promote longevity by increasing cells’ lifespans and limiting the number of harmful mutations that they accumulate. Now, why anyone would pass up their daily glass of wine in favor of a pill is beyond me. In theory, though, these pills may benefit individuals seeking red wine’s advantages without the alcohol or calories. Have any of you taken Quercetin or Resveratrol supplements? Let us know in the comments. You can also order a free sample of Vindure 900and report back!